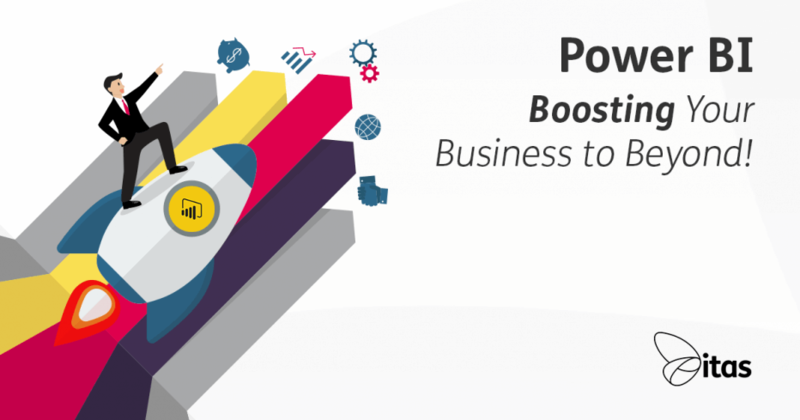 Power BI - Boosting Your Business to Beyond! Power BI – Boosting Your Business to Beyond! Microsoft Power BI is a data analytics tool. It allows you to take your data, and produce reports and visuals to aid decision making within your business. Data Analysis is imperative to any business, no matter what size it is. However traditionally, small to medium sized business have much more data than they realise. To learn more about the importance of business analytics, check out our introduction to the world of analytics. What data can I use in Power BI? 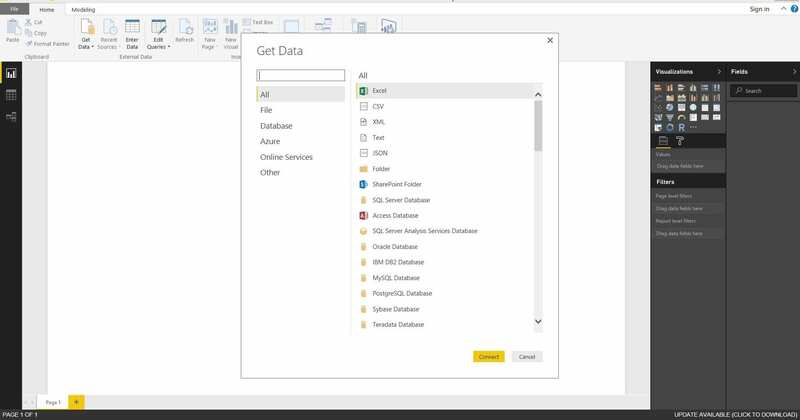 One of the great advantages of Power BI, is the vast range of data set’s it can connect into. The first, and most relevant to us here at itas, is the database connection. Power BI can link into to a large number of databases such as SQL Server, SQL Analysis Services, Access, IBM and Oracle, you can also host Microsoft Azure connections. You have to option to connect in local files too, these come in numerous formats such as CSV files, text files, excel files, and folders. Finally, you have the option of online connections. Power BI has a huge range of connectors and are always adding more. To name just a few, you have Salesforce, Google Analytics, MailChimp, Git Hub and many more. All of these data types can be accessed via a Direct Query, meaning no importing of data. What can I do with my data once its in there? In my opinion, this is the fun bit… deciding what it is you would like to see from your data. In Sage, you may want to be able to see your best and worst performing customers, how many Sales Orders each person generated last month or what stock items you haven’t sold recently. As long as the information is in your data set, then you can report on it. Once you have a plan on what exactly you want to see from your data, you can begin to build your reports. A report is a multi-perspective view of your data, it may contain single or multiple visualisation. Then, you can then begin to build up your dashboards. Dashboards are created by pinning tiles (that you created in your reports). This can be from multiple reports if you so wish. How can I share my reports/dashboards? Dashboards are created in order to view real-time data, quickly and in an aesthetically pleasing way. You can also display dashboards on screens in offices, warehouses or wherever the data needs to be displayed. They provide an up to date snippet of the team/companies performance and can really drive momentum in an organisation. It is also possible for you to share our reports/dashboards with colleagues, however they must be signed up to Power BI. Power BI is available on Desktop, Tablet, and Mobile devices. Meaning, you can stay up to date whenever and wherever you are. If you would like more information about Power BI, or you would like to talk to us about our custom dashboards then get in touch or click the banner below. 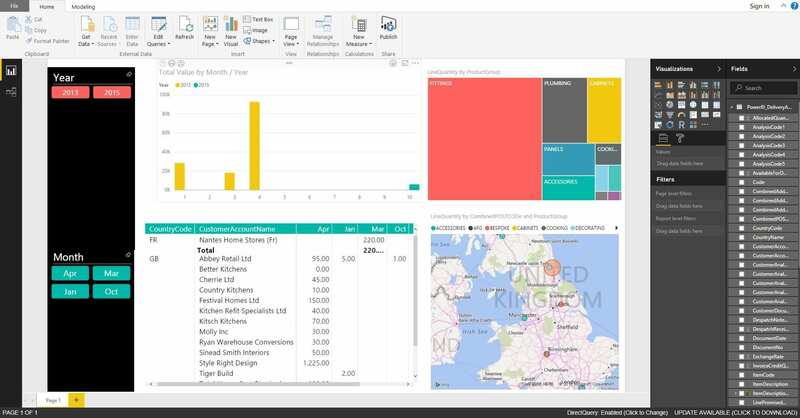 Home » Sage Blog » All Sage Blog Posts » Power BI – Boosting Your Business to Beyond!